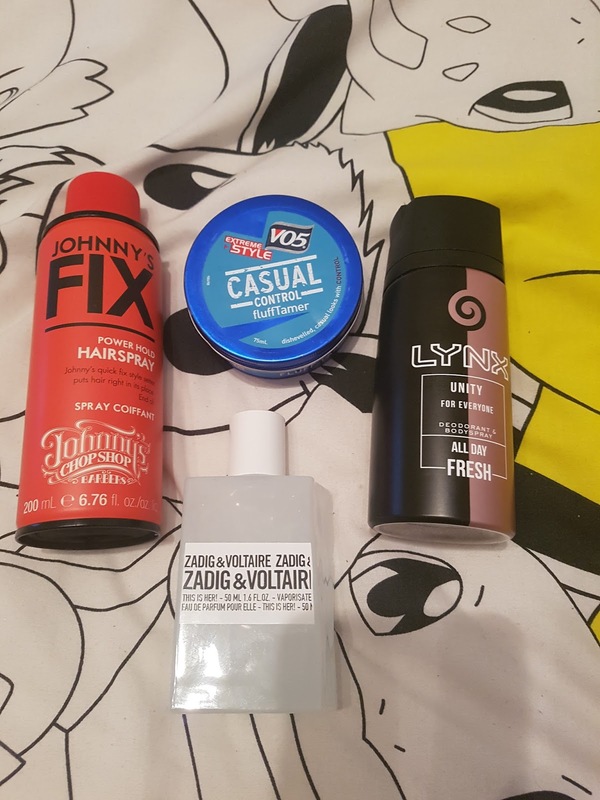 I thought I had done quite well this month at working through my ridiculous stash of hair products and beauty products but in reality I really hadn't. Whilst moving it really has opened my eyes to how many products I haven't even touched. I am actually planning a post that shows our bathroom storage systems at the moment and all the products we have, however I think it will be quite a big post. In the meantime, here is what I have actually have managed to use up in the chaos of moving everything around and unpacking. Johnny's Chop Shop Hairspray - I have actually lost track of how many times I have posted about this hairspray but it really is my all time favourite. I got 4 cans for Christmas and I am now onto my final one, so I definitely need to head to boots and get stocked up again. Vo5 Fluff Tamer - This is a lifesaver for me as it actually works. I use this daily to finish off my hairstyle as the parts that are shaved can get quite fluffy from time to time. I am currently on my last tin of this too so I need to go get stocked back up. Lynx Unity - This is a new one that I am actually going to do a full review on. As you know by now I love my Lynx products so see this released around Valentines day I went and got a few cans and I love it. But more on that another day. Zadig & Voltair for her - I absolutely loved this and it became my everyday fragrance. I am wanting a different daily fragrance at the moment however I know that I will definitely be getting this again in the future. The scent was perfect for me as it wasn't too feminine and certainly wasn't too masculine, I got so many compliments about this fragrance. I am hoping to get a lot more products used up throughout May so keep an eye out for that post and if there is a product you want me to review let me known. Also if you have used any of these products what are your thoughts on them?